Akiyoshi Kitaoka via RIKEN BSI Neuroinformatics Japan Center Despite the swirling and twirling you think you see, this is a completely still image. It’s an example of peripheral drift illusion, which refers to any optical illusion that our brains perceive as moving but, in reality, is still.The human brain, although highly sophisticated, processes information in a very basic way: As we move our eyes from left to right, we pick up visual cues both directly and in our peripheral vision that our brain then processes piece-by-piece — not continuously. And because our brains process high-contrast elements, like black on white, faster than low-contrast ones, like black on grey, that lapse in mental read time is ultimately what causes the apparent motion. In a 2012 study, researchers at the Barrow Neurological Institute in Phoenix, Arizona, reported that subjects looking at the picture above only saw apparent movement if their eyes were actually moving. When the subjects maintained a steady stare at a single point, the apparent motion ceased. This is an example of an Ames room that was first invented by American ophthalmologist Adelbert Ames, Jr. in 1934. This room toys with our brain’s sense of perspective.Almost any room we enter is either square or rectangular-shaped, meaning opposite walls are parallel to each other and meet at 90 degree angles. However, an Ames room is shaped like a trapezoid. The far-left corner is farther from the camera than the far-right corner. So, as the man walks across the room he appears to grow in size when in reality he’s just moving closer to the camera. The longer you see this image the more it looks like Albert Einstein instead of Marilyn Monroe, so you might think it’s just a skewed photo of the famous physicist. But that’s the illusion!This is an example of what is called a hybrid image that imposes one image on top of another. So, in fact, you are seeing both Monroe and Einstein. The trick is that the image of Einstein shows more detail than the image of Monroe. The farther an object is from us, the blurrier it appears. Therefore, our brains instantaneously process the blurry image of Monroe when the object is small and apparently far away, but as it comes closer, our eyes and brain recognize the more detailed image of Einstein. 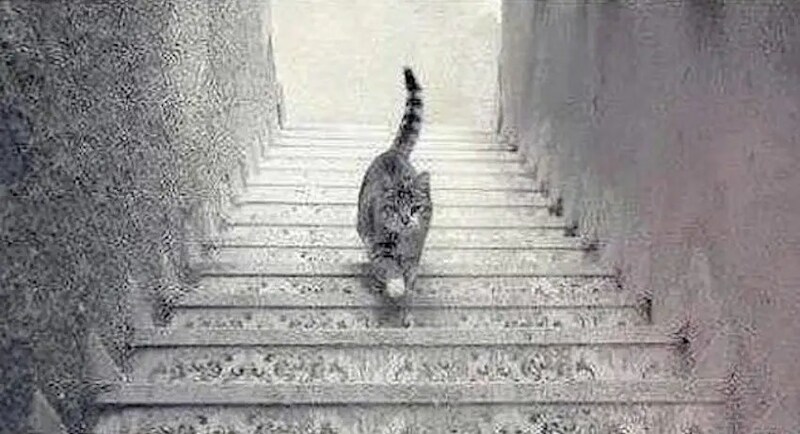 This example is just one of many types of geometrical optical illusions, wherein our brains fail at one of the most fundamental tasks: recognizing straight lines.In case you’re wondering, the only thing changing in this picture is the addition of the diagonal lines. The plank is not actually tilting to the right, despite what your brain is telling you. There’s no single explanation for why we perceive an imaginary tilt here. One possible reason could be related to a theory that researcher Mark Changizi of Rensselaer Polytechnic Institute in New York first proposed in 2008: Rensselaer suggests that in the 0.1 seconds it takes our brains to process the light that hits our retinas, humans actually predict what we think we should see. Although, this does not clearly tell us why we only perceive the tilt once the diagonal lines are introduced, Rensselaer’s “foresight theory” can explain another type of geometrical optical illusion called Hering illusion. Originally designed by the late American magician and writer Jerry Andrus, this optical illusion is a true work of genius. It does not use any holographic trick or clever camera work.This type of optical illusion, similar to the Ames room, plays with our brain’s sense of perspective: the dragon’s face looks like it’s sticking out toward us because, after all, we know from a life time of experience that faces stick out instead of cave in. But the exact opposite is actually the case here, as Slate science writer Phil Plait explains on Bad Astronomy. Regardless of what you perceive, the entire face of this dragon is inverted making everything backwards: For example, the right eye is actually farther away from us than the left eye, and it’s this inversion that confuses our brains and makes us think the dragon is constantly, hungrily staring us down. You can make this illusion yourself very easily. There are numerous templates online where you simply print and cut out the shape and then fold it according to the directions. In 1995, an MIT professor of vision science, Edward Adelson, proved with his Checker shadow illusion that the human brain is easily fooled when asked to determine the true color of anything in shadow.His experiment suggests that the human brain has a hard time perceiving slight changes in shade of the same color, like gray in the above example. Therefore, the brain is forced to guess or interpret the color we either think we see or want to see. The best way to do this is through context, by comparing the color in question with other surrounding colors. Obviously, it’s easy to trick our brain with the right setting. If you look at this infamous optical illusion long enough, you should actually see the woman change the direction that she’s spinning and the leg she’s standing on. 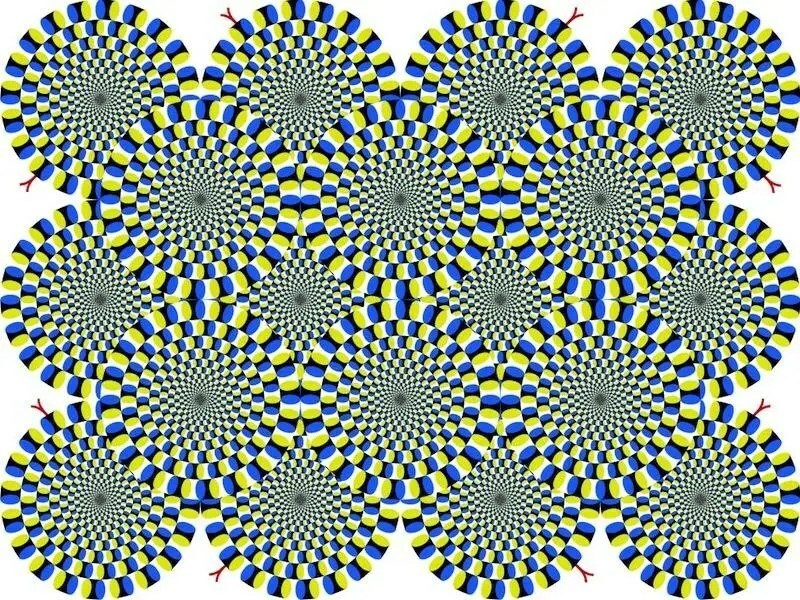 This mesmerizing optical illusion was first made in 2003 by web designer Nobuyuki Kayahara. If you’re seeing her rotate clockwise on her left left leg, you’re not alone. In an online survey of 1,600 people, two-thirds said they initially saw her spinning clockwise.Because we can easily perceive the figure to be spinning one way and then the next, this is called a reversible illusion – the most famous of which is the Necker cube. What makes it possible is the fact that the twirling figure is completely black and offers no sense of depth such as shading or shadows on her body. Both her arms and legs seemingly pass through her body, so a distinct direction of motion is ambiguous. Some people have a harder time seeing her change direction than others. One way to see the change is to take your direct gaze off of the figure so you can only see her in your peripheral vision. 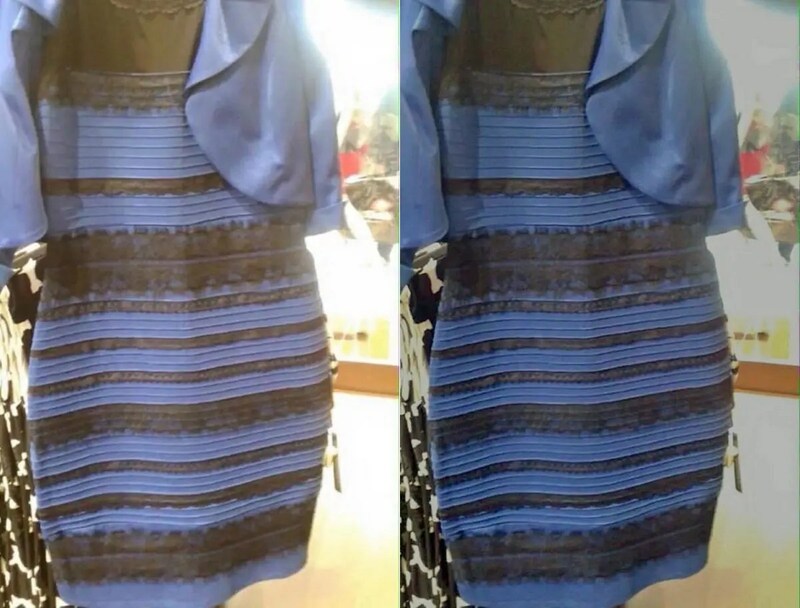 TumblrIf you look at the original image on the left you might see white and gold colors, but if you look at the image on the right that is in lower light you might see the dress with its true colors: black and blue. You’re probably familiar with this infamously confusing dress that first appeared on a Tumbler page last February. The colors of the repeating stripes on the dress are black and blue, but many of us perceive the colors gold and white.It’s this difference in opinion that had the entire internet talking and wondering about this optical illusion. Like the twirling woman in the previous example, this is an example of a reversible image where some people can see both sets of colors while others can only perceive one set. However, this optical illusion is unique because it’s the only known reversible image that deals with colors. Plus, there’s a right answer to this illusion whereas there is none for the spinning dancer. Neurologists are now trying to understand the reason behind this shocking phenomenon. So far, a few papers that explore possible explanations, have been published. Flickr/NASA’s Marshall Spaceflight Center Believe it or not, that’s a real photo of the full moon taken in 2012 by an astronaut on board the International Space Station (ISS). This is a different type of optical illusionin that what you see is not generated by tricking the brain. Rather, it’s a trick of the light that is reaching astronauts’ eyes (and camera).When the moon and the ISS are on opposite sides of the Earth, the sunlight that bounces off of the moon and heads toward the ISS must first travel through Earth’s atmosphere. During its journey, the light interacts with particles in the atmosphere that bend the light, similar to how water distorts light and why objects underwater look larger. 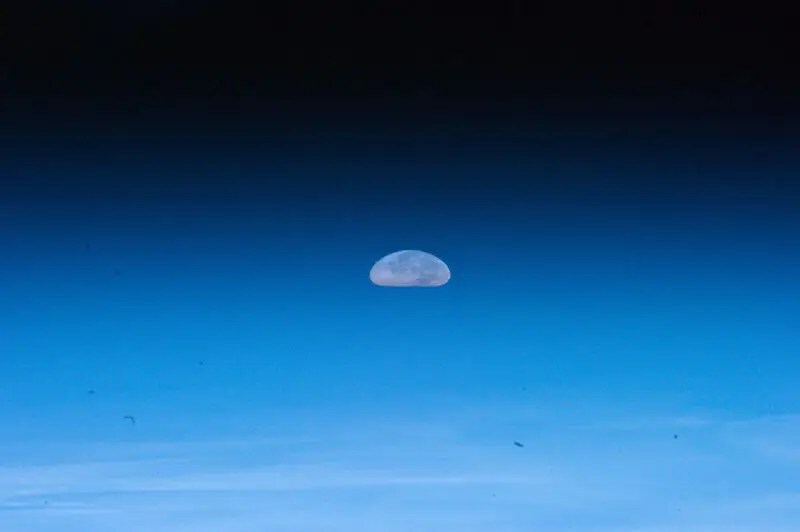 But light from the top-half of the moon travels through less atmosphere than the bottom half, which is physically bent upward to reach astronauts’ eyes and is why the moon appears squashed from the bottom-up. ← Previous Post India 2015 heatwave! Truly amazing. Our senses can be befuddled easily.